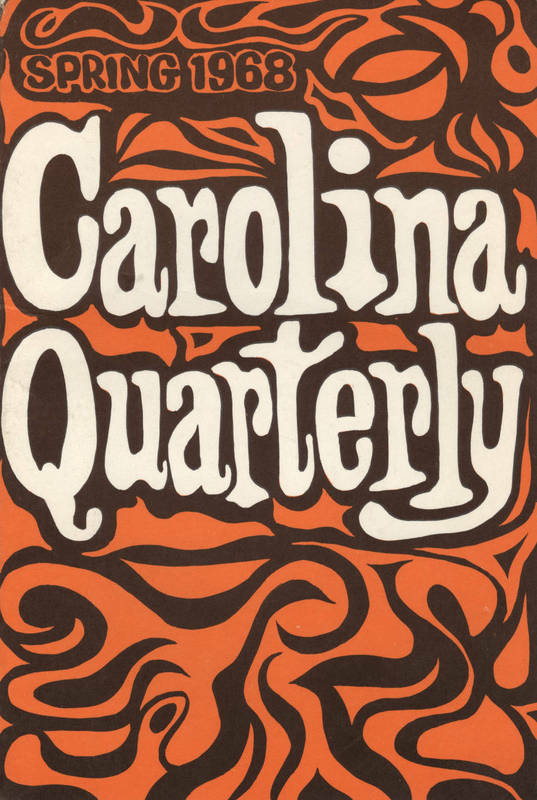 Leon Rooke and Russell Banks, two Carolina undergraduates who often published in the Carolina Quarterly during the 1960's, have since become distinguished writers. Rooke, who was born in Roanoke Rapids, N.C., studied journalism and drama with Jessie Rehder and Paul Green at UNC from 1955 to 1958. Rooke returned to North Carolina in the early 1960s and worked with his close friend and former teacher John Ehle on several cultural initiatives championed by Governor Terry Sanford. He co-edited The Anvil, A Weekly Newspaper of Politics and the Arts, perhaps the most progressive publication in the South during the 1960s. Since 1969, he has lived in Canada, where he is now considered one of that country’s major novelists. Russell Banks, a native of Massachusetts, studied with Jessie Rehder and graduated Phi Beta Kappa from Chapel Hill in 1967. His short stories, novels, and poetry have made him one of the leading voices in literature for working-class Americans. His work, which includes Continental Drift (1985) and Affliction(1989), is acclaimed for its poignant depictions of economic hardship, family conflict, addiction, and racism.